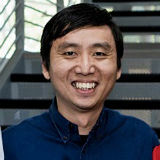 In this third and final segment of the conversation with Chade-Meng Tan, best selling author of Search Inside Yourself, Knowledge@Wharton explores the relationship between emotional intelligence and financial performance. According to Meng, companies as diverse as GE, Patagonia, Zappos, Genentech, American Express and MetLife have seen positive business results through practices based on emotional intelligence. Mindfulness can also help laid off job seekers find work faster. To read more, check out the first segment, Google’s Chade-Meng Tan Wants You to Search Inside Yourself for Inner (and World) Peace, and the second, How Emotional Intelligence Can Help Resolve Conflicts and Build Tough, Kind Leaders. Knowledge@Wharton: When managers make decisions based on financial considerations, and emotional intelligence is suppressed, the results are often inhumane, though they might appear to help the bottom line in the short run. Consider, for example, a company that chooses to slash costs by dismissing thousands of employees. On the other hand, if emotional intelligence is emphasized at the cost of financial considerations, that, too, could hurt the company’s long-term viability. How should managers balance emotional intelligence and financial intelligence so that the results are optimal, like a guitar string that is neither too tight nor too slack but plays the perfect pitch? Meng: Daniel Goleman once offered a good example of how this could be done. He wrote about a layoff at General Electric. GE had to close a plant and lay off a few thousand people; it was very painful. But the company did some very humane things. They told these people two years in advance and explained the reasons for the plant closure. And they didn’t just tell their workers; they helped each of them get new jobs. They had an outplacement service running for free, a counseling service and so on. Eventually they did close the plant, but a year after that happened and everybody was laid off, 93% of those who lost their jobs said GE was a good place to work. So even something as painful as laying people off can be done in an emotionally intelligent way. It can be done in a way that people still like you, even though you make tough decisions. I think that is a good example. Sometimes you don’t even have to lay off people. I heard this story about Patagonia [a company that makes clothes for climbing, skiing, surfing and other sports]. The CEO is Casey Sheahan, and I heard this story from his wife [Tara]. A couple of years ago, the economy dipped, and Casey was considering laying off people. At that time, it seemed to him that laying off people was his only solution. Tara asked him a very short and powerful question. She asked him, “Are you making this decision out of fear or out of love?” This may sound like a fluffy, new age kind of question, but it struck him, and he realized he was acting out of fear. So he didn’t go through with the layoffs. The year after that, they ended up having record sales. If Casey had laid off all those people, he would have been in trouble the next year because he would have had to hire all these people back and retrain people and so on. So even when it’s “obvious” that you have to fire people, if you see things in an emotionally intelligent way, it turns out that it may not be the only solution. There may be other creative solutions that enable better outcomes. I have one more example. This is not directly related to firing people, but it’s the idea of doing something that is emotionally intelligent and also is good for you financially. This is an example from Zappos. It’s a company that sells shoes online. Speaking as an investor, myself…I mean, I’m a stupid investor. Once I tell you this, you’ll know I’m stupid because I would never invest in a company that sells shoes online. Yet Tony Hsieh, the CEO, managed to bring this company from zero to one billion dollars in sales. It’s pretty amazing. How did he do that? His formula is — he calls it “delivering happiness.” He delivers happiness to his people, his employees. His employees, in turn, deliver happiness to customers and customers love them and if the customers love them, they spend more money. That’s the premise. It has worked really well. Zappos, for example, was rated more highly in customer service than Four Seasons. It’s Four Seasons, for crying out loud, and Zappos is a dot.com company from Las Vegas. The reason I tell you this story, besides showing off how lousy I am as an investor, is that one of the things that Tony told us is that by doing this, by delivering happiness, they save a lot of money on marketing. They don’t do any marketing; their customer service is the marketing. And because they serve customers so well, the customers tell all their friends and that’s why there is no marketing budget. This is an example of emotional intelligence that makes a lot of financial sense. Knowledge@Wharton: In addition to your experience at Google, you cite examples in your book of other companies where emotional intelligence has had an impact on the bottom line. You have already shared some of those — GE, Patagonia and Zappos. Do you have other examples? Meng: I have one more. I didn’t write about this in my book because I learned about it after I finished writing it. The company is Genentech, a biotech company down the street from where I work now. Its chief information officer is Todd Pierce. When Todd joined the company, the IT Department was the least satisfying place to work in the company. Everybody hated being there. So Todd started something he called the Personal Excellence Program. It is basically a mindfulness program. But while SIY is a program that applies mindfulness in a structured way, Todd’s program, the Personal Excellence Program, has a lot more flexibility. There’s a lot more coaching. They get people to pick a skill they want to develop: A listening skill, giving feedback, work/life balance, managing, things like that and a quality they want to develop such as courage, calmness, perceptibility. Over a couple of months, they are coached in using mindfulness to create the quality and skill they want to create…so it’s highly customized. After a few years of doing this, the department went from being the least satisfying place to work to number two in the company. Now it’s rated by ComputerWorld as the number two best IT department to work. It’s kind of fascinating. There are other examples, but they are less systematic. There are companies that don’t focus on emotional intelligence as a whole, but they nurture a certain aspect of it. For example, American Express has a program on self-awareness or emotional awareness that has led to an increase in revenues at American Express Financial Advisors. And MetLife famously used optimism to increase their sales per employee. This is a fascinating story; it comes from a book by Martin Seligman, a psychologist who is the father of learned optimism. Knowledge@Wharton: He is here at the University of Pennsylvania. Meng: Yes, correct. MetLife has a very high bar on who they want as insurance agents. They give everybody a standardized test and there are people who just fail the test. Martin said MetLife should hire people who just failed the test but scored very high in optimism. Those guys, it turns out, could outsell more than 50% compared to the other guys. It’s fascinating that they failed the test, but they could sell more because they are very optimistic people. Optimism is very powerful as a business skill. This is just one aspect of emotional intelligence. In SIY, we teach everything starting from self-awareness all the way to social skills; optimism is just one of the aspects. If even one aspect is so powerful, imagine the whole spectrum. Knowledge@Wharton: Can mindfulness meditation help people who are laid off? Can it help them in the search for new jobs? Meng: Definitely. There is a fascinating study that I wrote about in the book. This study comes from James Pennebaker, a psychologist at the University of Texas in Austin, who is an expert on journaling. Journaling is basically writing about your emotions. It is a mindfulness practice that is done with writing. In this experiment, they got together a group of professionals who were laid off and were looking for a new job. They had a control group that did not do any writing. The experimental group was asked to write about their emotions for 20 minutes a day for five continuous days. In total, they did 100 minutes of mindful writing. The question is, what happened after that? After eight months, in the control group that didn’t do any writing, about 26% of the people found new jobs. In the experimental group, the group that wrote about their emotions, something like 65% found new jobs. To me, that’s mind blowing. It’s 40 percentage points of difference in 100 minutes of non-invasive intervention. In the social sciences, if you can get a difference of 3% that is considered statistically significant, you publish and get excited about it. But this was a difference of 40 percentage points, for crying out loud. It’s fascinating. Why does it work? The explanation given in the paper is that people who wrote about their emotions had more clarity about what they wanted in life or, rather, they created a kind of clarity in themselves. Because they had this clarity, when they went for interviews, they appeared more confident. That is why they could find jobs at a much higher rate. So, definitely, mindfulness can help you find jobs. Knowledge@Wharton: This goes back to your previous point about the connection between mindfulness and self-confidence. Knowledge@Wharton: Business schools excel at teaching students analytical skills, but they have often been less successful at helping students develop emotional intelligence. How can they do a better job? Meng: The first step is to recognize the importance of emotional intelligence in business leadership. Leadership is essentially character, and you cannot develop character if you don’t also develop emotional intelligence — that’s how important it is. Emotional intelligence is at the center of developing leadership, and recognizing that is the first step. The second step is hard because business schools — and I think schools, in general — are very used to curriculum that is purely cognitive. You learn stuff from a book or from reading or solving problems. Schools in general and business schools in particular are not used to a curriculum that requires other forms of training. For emotional intelligence, there are at least three aspects of training. There’s a cognitive aspect, but there’s also the attention aspect and the affective aspect. The attention aspect is what we talked about earlier, which is to develop a quality of attention that allows the mind to become calm and clear on demand. The affective aspect is a training that allows you to perceive emotions at a high resolution and gain mastery over those emotions. This is not something you can learn from reading a book or solving problems on a piece of paper. This is an entirely different form of training. Business schools are not yet used to such things. I’m hoping that my book will pave the way for that by bringing these things up to people’s awareness. I hope in a few years, every business school will offer emotional intelligence training. Knowledge@Wharton: What advice would you offer companies that are interested in setting up a program like SIY? How should they go about it? What immediate steps can they take and what more can be done over time? Meng: My first recommendation is to read Search Inside Yourself just so you know what you’re getting yourself into. After you read the book and you like what you see, there are very simple things that you can try out that will, I guarantee, be immediately useful. There are exercises in the book. For example, there’s an exercise called “mindful conversation.” This is not new. We actually learned this from friends in the legal community. This exercise involves one person giving a monologue for a couple of minutes and then the other person, the listener saying, “This is what I heard you say. This is what I understood you to say.” Then they go back and forth until the original speaker feels understood. And of course, he practices mindfulness because when you’re listening, you’re doing so mindfully. This is a simple practice and it is very useful in situations of conflict or stalemate, especially if it is because one side or both sides feel they are not understood by the other. In these situations, you can do this very simple exercise and I can guarantee you that at least half the time, you’ll get results. And if you don’t get results, at least people will feel, “Ah, I’m understood. Now we can work together.” You can try a couple of other simple things like that from the book. Knowledge@Wharton: Since we started this conversation talking about world peace, what three things can each individual do to help achieve world peace? Meng: Actually, there’s only one thing you need to do, but it’s one thing in three parts. That one thing is to cultivate inner peace, cultivate inner happiness and cultivate compassion. There’s a relationship between these three. Compassion is unsustainable unless it’s based on inner happiness. If you’re happy from the inside out, you can sustain compassion. Inner happiness is unsustainable unless you have inner peace, so there’s a linear relationship. And if everybody has compassion, it creates the conditions for world peace. So, that’s it — one thing, very simple. Knowledge@Wharton: Meng, thank you for speaking with Knowledge@Wharton.